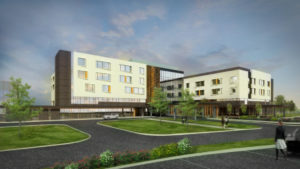 Quandel Construction Group, Inc. has been selected to serve as the Construction Manager for the new UPMC Pinnacle Memorial hospital located in York, PA. Design of the building is handled by Stantec alongside Barton Associates, Inc. The hospital is also employing Dawood Engineering, Inc. The hospital will include 102 beds, an emergency department, diagnostic imaging, cardiology services, surgical suite and Women’s and Babies. 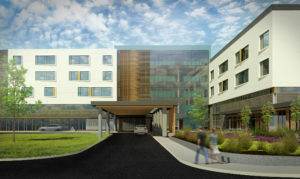 The five-story hospital and central utility plant will be connected by an underground utility tunnel. The structure is steel with precast architectural panels. 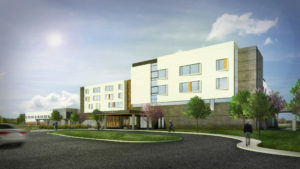 This project is scheduled to be completed in the summer of 2019. Quandel has been working for UPMC Pinnacle since 2004, most recently completing UPMC Pinnacle West Shore located in Mechanicsburg, PA.